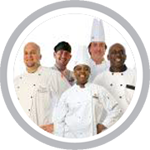 Montana food handler safety training is necessary for employees in the food service and hospitality industry. 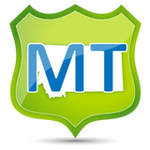 Montana food safety training is for employees (such as chefs, cooks, servers, preparers, vendors, caterers, supervisors and managers) who are involved in preparing, storing, or handling food that work in: (restaurants, bars, cafes, bakeries, delis, mobile food trucks, assisted-living, day care centers, and convenience stores). Billings, Missoula, Great Falls, Bozeman, Butte-Silver Bow, Helena, Kalispell, Havre, Anaconda-Deer Lodge County, Miles City, Helena Valley West Central, Helena Valley Southeast, Belgrade, Livingston, Laurel, Evergreen, Lockwood, Whitefish, Lewistown, Orchard Homes, Sidney, Glendive, Columbia Falls, Polson, Hamilton, Bigfork, Dillon, Malmstrom AFB, Helena Valley Northwest, Hardin, Lolo, Glasgow, Deer Lodge, Four Corners, Cut Bank.